This item must be returned in sets of 18. Please contact customer service by phone 877-988-2328 or email info@beau-coup.com. 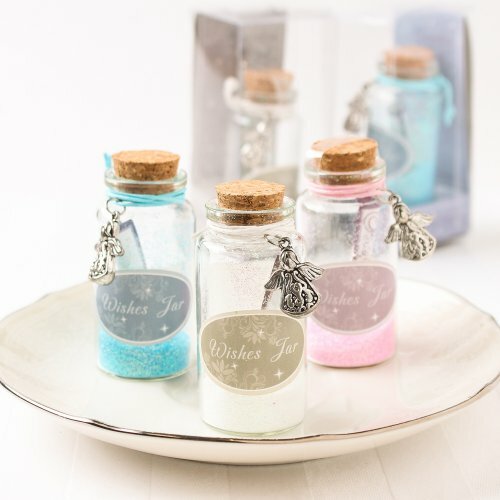 A sprinkle from this angel glitter wishing jar is all they'll need to truly the wedding. These cute jars offer a special message of "This guardian angel watches over you each day, with warm and loving care, this little angel guides your steps and goes with you everywhere!". Each jar is individually packaged with a silver angel and matching ribbon, making this a sweet and sentimental gift they won't soon be forget!